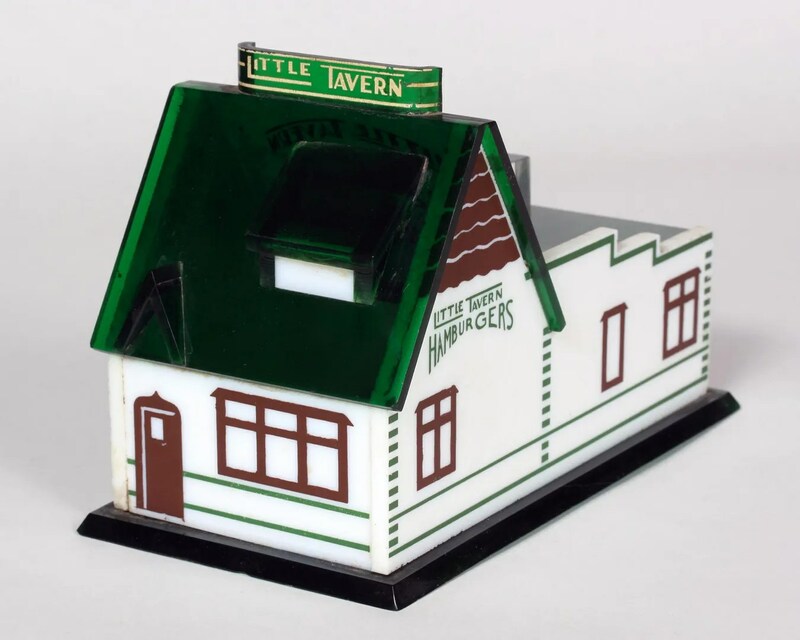 I’m a bit unclear as to what the original function of these Little Tavern boxes was. Matchbooks? Business Cards? Toothpicks? They’re not very big, about 6-8″ long (I don’t have one in front of me and I can’t remember exactly). The windows and doors are printed on, but just about all the detailing is there. 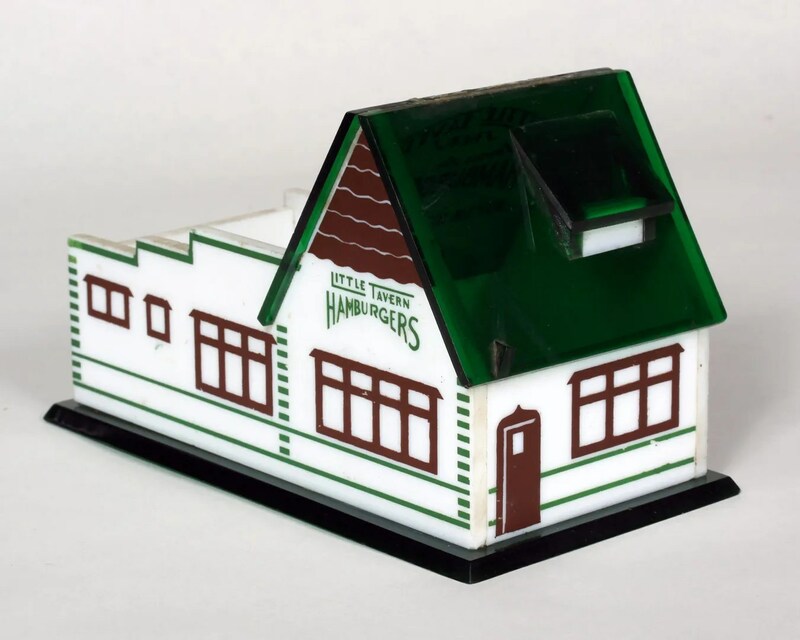 They’re made of some kind of heavy duty early plastic, and are a miniature replica of one of the shops. Some have 20th Anniversary 1927-1947 script on the roof. Others have the standard “Buy ’em by the bag” slogan. 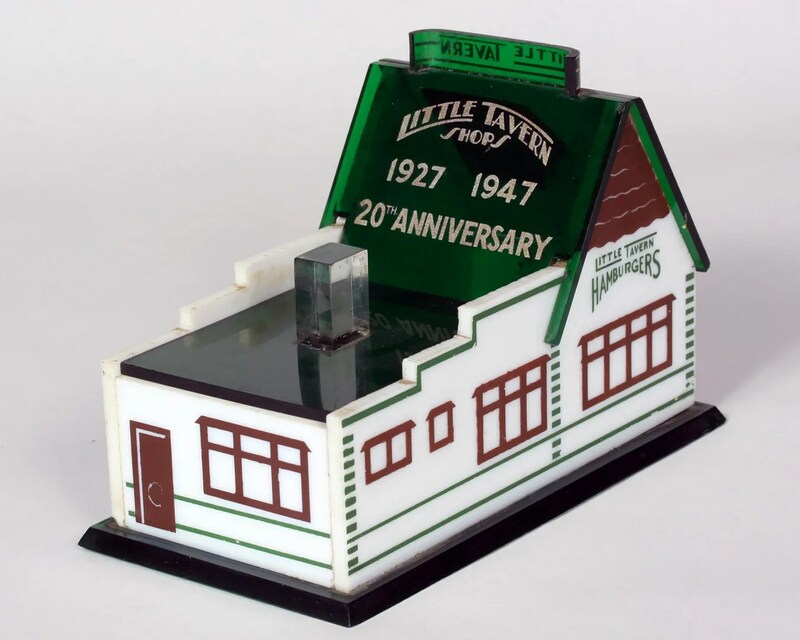 My grandfather (Robert F. McFadden) used them as loose change bins. I’m not sure what the original purpose was. Way back when, Mike McFadden used to own a company called Progressive Plastics in VA. They specialized in making U.S. Bongs, but also made other things. I wonder if he was involved in manufacturing this? Hmmm. 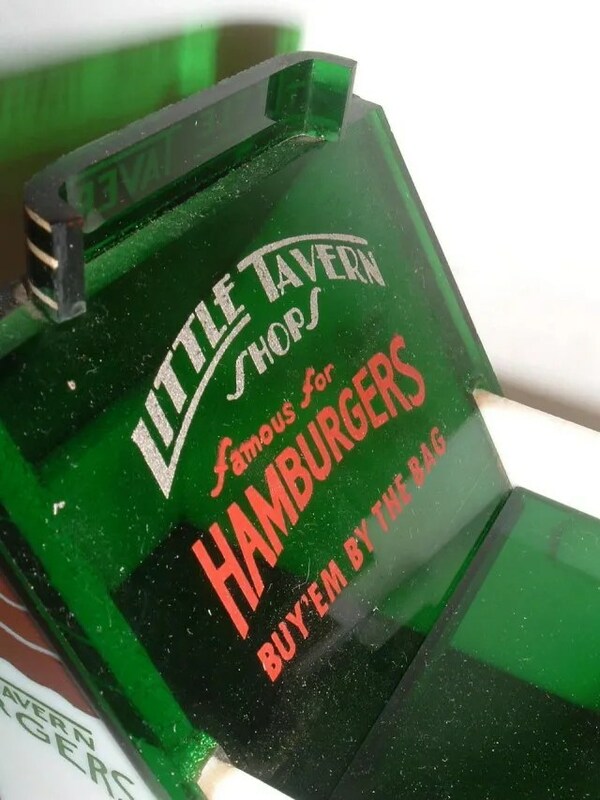 I have a wood ruler, 36 inches long, made from a 5/8 inch square piece of wood, marked for 36 inches in 1/8th inch increments on two sides, and “Little Tavern Shops, Inc.’ and “Famous For Hamburgers” on the other two sides.